Symbols are objects, characters, figures and colours used to represent abstract ideas or concepts. 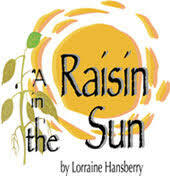 Lorraine Hansberry's play, A Raisin in the Sun is not devoid of this as she fashions it relevant symbols which go beyond the literary meanings of the play. The characters of Joseph Asagai and Beneatha are used to represent those Africans who are geared towards promoting their African heritage irrespective of the place they find themselves. Going by his African name, Joseph Asagai symbolizes a new Africanist culture that is geared towards promoting the African culture. Similarly, Beneatha's fight with George Murchison and the rest of her family whether to join the western culture and elevate their status or celebrate their cultural differences from the whites or not showcases her as one who loves her origin (the African heritage). Beneatha by putting a radical 'afro' as against whites' hairstyle symbolises her embracement of her African heritage and ancestral root. On the contrary, the character of George Murchison symbolizes those Africans who are not proud of their ancestral root and, as such, can trade it for anything, especially their cultures. George Murchison represents an African who is assimilating into the western way of life. And this is why Beneatha rejects refuses to get married to him. This is the most overt symbol in the play. Mama's plant represents her family, her care for her family and her dream for the family. In the play, Mama always complains that the plant never gets enough light or water, but she takes pride in how it flourishes under her care regardless of this factor. What this simply means is that Mama is totally proud for keeping her family together amidst poverty, hunger and starvation caused by the vicious chains of racial discrimination from the whites. Mama's ability to keep the plant flourishing despite the inadequate sunlight and water symbolizes her ability to keep her family together amidst the unavoidable challenges faced by the family. This is evident at the end of play when Mama and her family are moving into the new house she bought in Clybourne Park (a place only meant for the whites). In the play, 'sunlight' symbolizes hope and life since all human life depends on warmth and energy from the sun. It is important to note that the first thing Ruth asks about in Act two, scene one, is whether or not the new house will have enough sunlight. I am sure Mama's incessant confession that her plant lacks adequate 'sunlight' and water but still flourishes has prompted Ruth's question. It is obvious their apartment in South Chicago lacks adequate sunlight; thus, the reason for their pitiable lives. This is why Ruth wants to be sure if the new apartment in Clybourne Park has sunlight because she does not want to go and continue the miserable life. Although overlooked, this is a very important symbol in the play. The eggs represent Walter's hope, dreams, and ambitions. The egg is an idea newly forming in his mind but it never turns out the way that he wants. The eggs also represent Walter's children. Walter as a father has always wanted the best for his unborn children and his child, Travis (who is young, new and fragile like the egg). Unfortunately, circumstances turn his dreams and ambitions against his wish. He cannot take care of Travis and even the unborn child hence Ruth's decision to abort the pregnancy. The life insurance check received by the Younger's family after the death of their father symbolizes hope. The dreams of all members of the Younger's family are attached to the check. They see the check as an important instrument that can be used to elevate their status in a society marred by racism. Walter sees the check as his opportunity to get his business (Liquor business), Beneatha wants to use it to finish her medical school and Mama wants to use it to accomplish her late husband's dream of buying a house. In the end, the check, which symbolizes hope, becomes a symbol of loss of dream as members of the Younger's family (Beneatha and Walter Lee) except Mama, cannot realise their dreams with the check. In sum, from the explanations above, one cannot deny the fact that Hansberry spices her play with symbols in order to pass her message across to her readers.